Thousands of women across West Africa have been enslaved by a centuries-old practice called “trokosi”. Girls are forced to live and work with priests in religious shrines, for the rest of their lives, to “pay” for the sins of family members. Although the practice has officially been banned in Ghana, it’s still happening there and in other parts of West Africa but on a smaller scale. Twenty years after she was freed from this practice, Brigitte Sossou Perenyi goes on a journey to understand what trokosi really is and why her family gave her away. Brigitte Sossou Perenyi was one of those girls and twenty years after she was freed, she goes on a journey to understand what trokosi really is and why her family gave her away. Recounting what she has been through, Brigitte at the age of seven was enslaved at a religious shrine for her uncle’s adultery. This, she stated robbed her of her childhood. “I was told I had to leave home to go and live with my uncle. I was placed at the back of a motorbike, I didn’t even know the drive. I thought it was a strong wind causing my tears but I think I was actually crying because I was being taken away from my family,” she narrated. Brigitte added that she was left in a place she had never been before. Brigitte who was watching a 1997 news report by ‘CBS 60 minutes’ at where she was held captive indicated that she was labelled trokosi (a wife of the gods) who was paying for a crime committed by a family member. She added she experienced neglection, rejection, and isolation whilst being at the shrine. The report according to Brigitte changed her whole life. “With the help of a charity body called international needs, an American viewer flew to Ghana to negotiate my release. His name was Kenneth Perenyi and he will become my adopted father. He took me to the US where I spent the next 13-years. I was released to be out after about a year at the shrine, but there was a huge emptiness that could never be filled,” she sobbed. “I was still thinking about my family, my birth family… but it was in my heart and in my mind….I never stopped thinking about them,” she said in a BBC documentary ‘My stolen childhood: understanding the trokosi system'. According to Brigitte she first visited her family in Togo in 2010; they had no idea of her whereabouts. Growing up without a mother, Brigitte said was really devastating, “what kept me going was a few cherished memories of my early childhood. Remembering how her nuclear family system was like, Brigitte stated that she remembered her mum and dad as well as her four siblings of which she was the second child. “I was closer to my dad, I think I was a daddy’s girl. For dinner, he will build this big fire…he will dig the ground around it and roast corn, peanuts, sweet potatoes and yam, it was really good. I remember at night, we will lie under the stars and the moon, life was simple,” she said. At her family house in Ahasome, a village in Togo, Brigitte could not express herself in her mother tongue and had to rely on a translator to have a chat with her family. Her father told her, her uncle asked if she could help run some chores in his house so he permitted him to take Brigitte along to Lome where he resides. 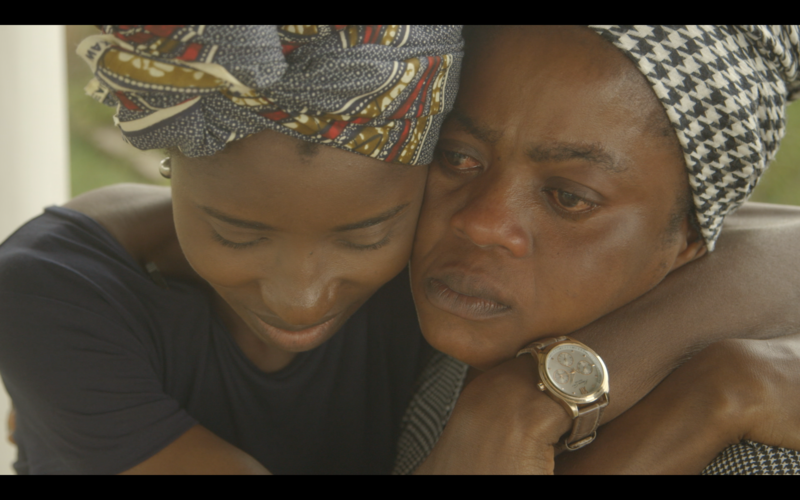 “I went to Lome to look for you, your uncle told me you weren’t there…I roamed the streets the endlessly and didn’t find you…I came home so frustrated,” her father recounted. Later Brigitte’s father had to consult a soothsayer and he told him Brigitte was alive, but he couldn’t tell her whereabouts. “I don’t want to blame anybody, it’s neither mine nor your mother’s fault….continuing this conversation will only bring conflict. Whatever has happened, has happened. I’m just happy that you’re back home…but if you want to blame somebody, blame me,” he told Brigitte in tears. Trokosi is a ritual servitude practice in Ghana, Togo, and Benin where traditional religious shrines (popularly called fetish shrines in Ghana) take human beings, usually young virgin girls, in payment for services or in religious atonement for alleged misdeeds of a family member. In Ghana and in Togo, it is practised by the Ewe tribe in the Volta region, and in Benin, it is practised by the Fon. These shrine slaves serve the priests, elders and owners of a traditional religious shrine without remuneration and without their consent, although the consent of the family or clan may be involved. Those who practice ritual servitude usually feel that the girl is serving the god or gods of the shrine and is married to the gods of the shrine. If a girl runs away or dies, she must be replaced by another girl from the family. Some girls in ritual servitude are the third or fourth girl in their family suffering from the same crime, sometimes for something as minor as the loss of trivial property. It is still practised in the Volta region in Ghana, in spite of being outlawed in 1998, and despite carrying a minimum three-year prison sentence for conviction. Among the Ewes who practice the ritual in Ghana, variations of the practice are also called trokosi, fiashidi, and woryokwe, with "trokosi" being the most common of those terms. In Togo and Benin, it is called voodoosi or vudusi. 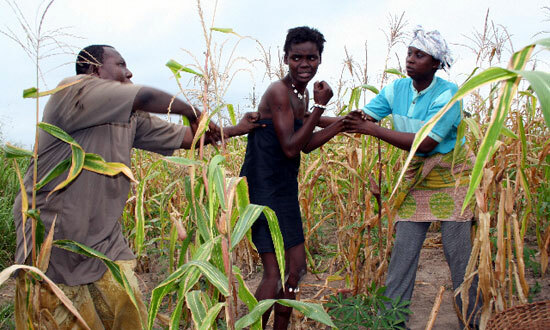 Victims are commonly known in Ghana as fetish slaves because the gods of African Traditional Religion are popularly referred to as fetishes and the priests who serve them as fetish priests.